I’m just dropping in to share a festive Halloween card I whipped up that has handcrafted flowers and a great little holiday die cut. I think that upside down owl is the cutest thing!!!! Pretty sure I’m addicted to making plaid flowers. 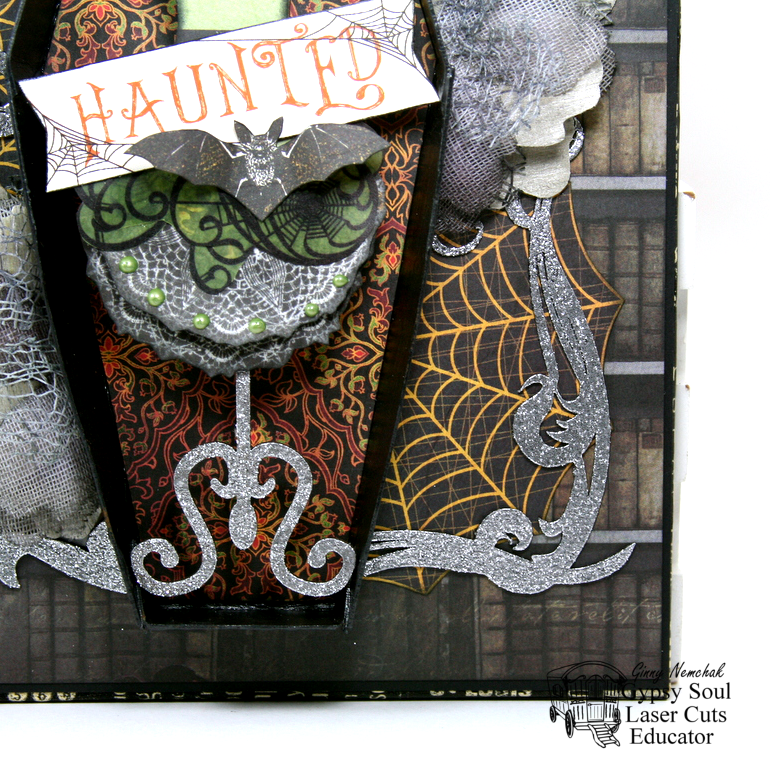 I’m using fancy brads for the centers here and I think they turned out spooktacular! Sequins…check. Ribbon…check. Doily….check. Glitter stars….check. I’d say my work here is done! Really Reasonable Ribbon~Black Burlap String. Okay that’s all for me. Wishing everyone a happy and safe holiday! Get it? Owl be wishing. Owl. Okay I thought it was funny at the time. Even the owl is rolling it’s eye’s at my corny joke. This large diecut with the owl image is sooooo retro!!! Handcrafted flowers here with a glittery center and a loopy ribbon bow. 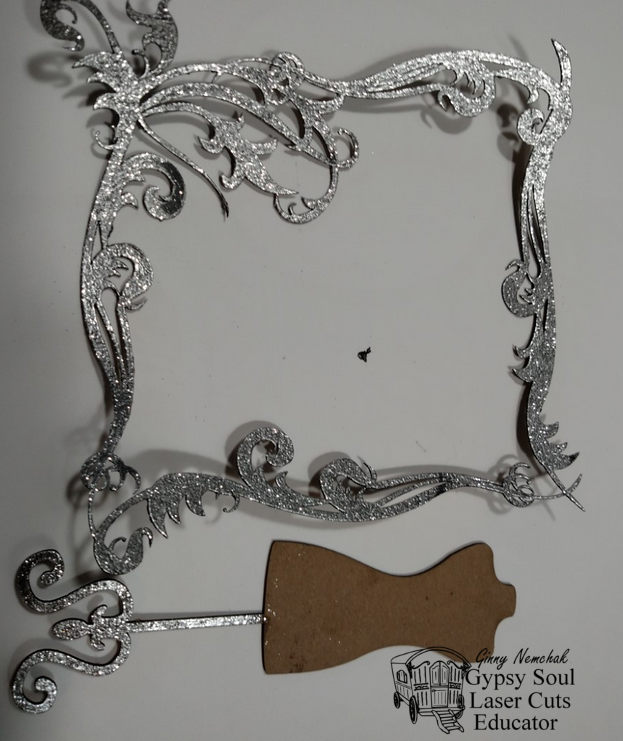 There’s a die cut doily and a spiderweb image to layer the owl on. I’ve also tucked in some little clocks with printed spiderweb centers. More flowers here with diecut leaves to fill in the arrangement. Just a bit of netting wrapped around the bottom for texture. Hey there Peeps! 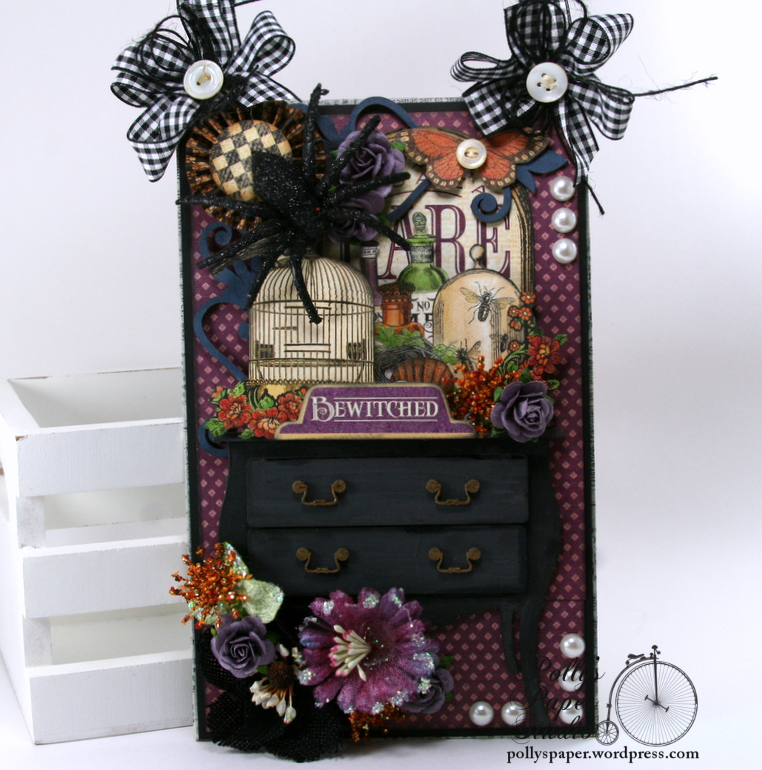 So excited to be sharing the project I created as a guest designer for Alpha Stamps. 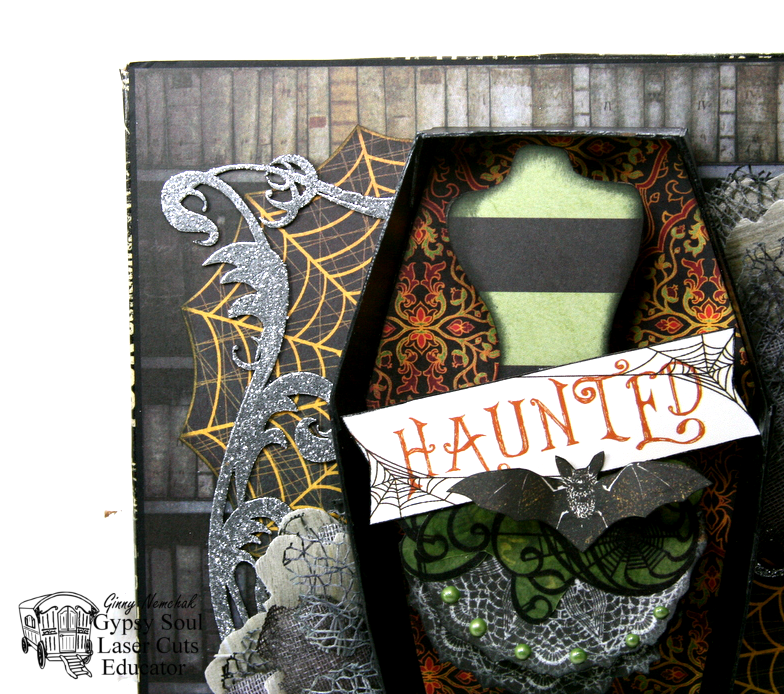 They sent me oodles of fabby Halloween paper pretties and supplies and I just could not hardly wait to play. 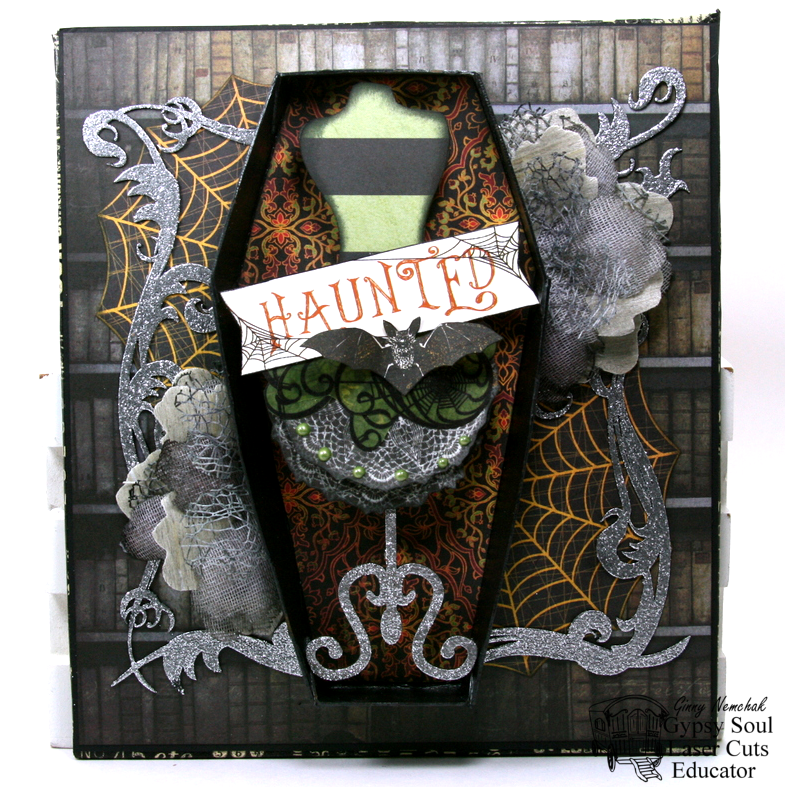 I used the Little Ghouls Kit from Alpha Stamps along with some bits and pieces from my stash to create this fun Halloween decor Shadow Box. 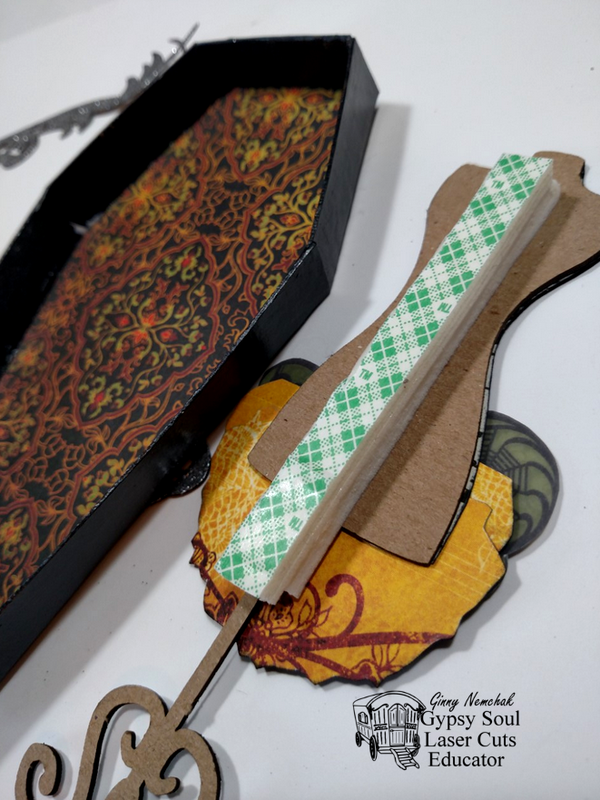 The kit is chock full of vintagy images, patterned papers, holiday emebllies, and chipboard. 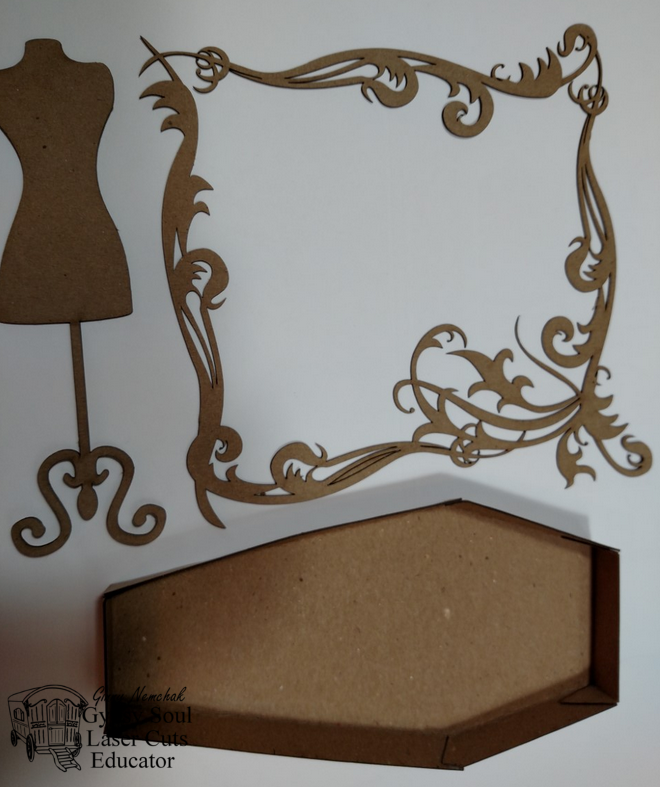 I created the shadow box itself with a basic chipboard frame and created boxes for each section then added it to a super sturdy base. 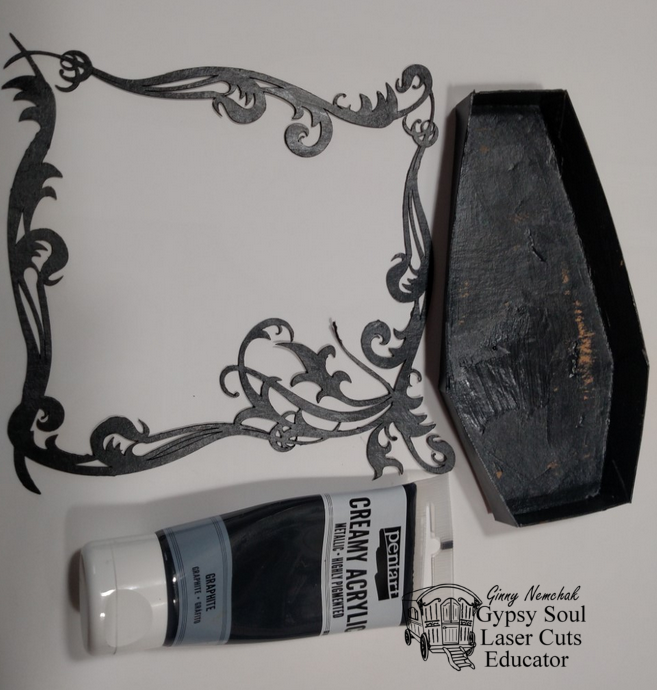 The frame was then painted with crackle paint. 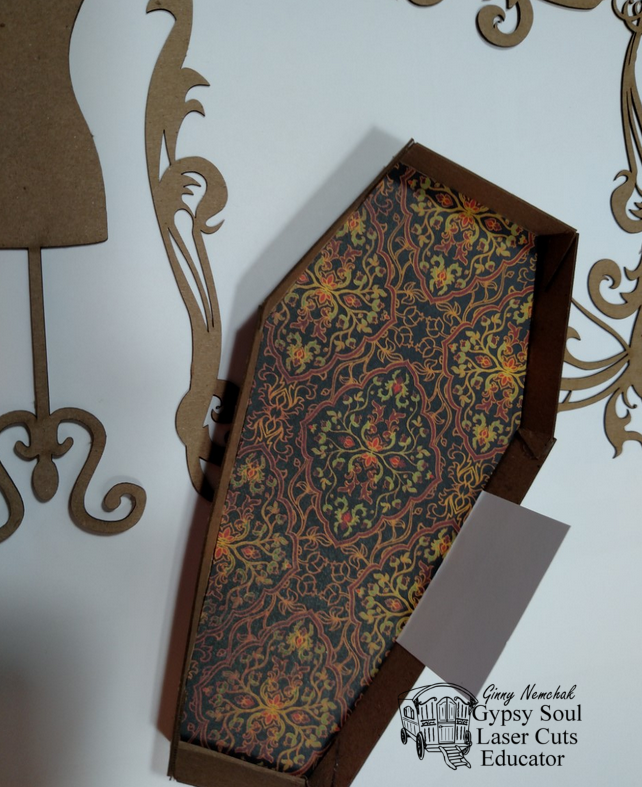 Each section has a pattern of paper from the kit. These little moon charms are really fun and make a great accent dangling from bakers twine and adhered behind coordinating flowers. Going with a spooky garden theme I created bat flowers growing on copper stems with itty bitty buttons and charms added. The little gardener chap has a wheelbarrow to harvest his crop and fanciful wings, altered chipboard gate, and a mossy field to plant in. Additional holiday characters are displayed in their own environment with chippies, flowers, paper rosettes, sequins, and fun charms from Alpha Stamps. Star garland and glittery strips add texture and brings the design out onto the front of the frame. The trick to adding layers of vintagy images is to include foam spacers for depth. You can see from this angle how dimensional this shadow box is. What fun to play with this kit. Thanks so much to Alpha Stamps for letting me join your team as guest this month and for the generous dt box full of awesome supplies. There is so much Halloween going in in my shop right now friends and I just want to share it all!!! This card is one of my favorites. I really love plaid. I mean like a lot. Really. I will plaid anything that stands still. This crow is just so cool. It’s layered over a vintagy clock which for some reason made me think of the expression Time Flies. Isn’t funny that phrases stick in your head? There’s Petaloo flowers here along with handcrafted paper flowers, and even one I created with metal. 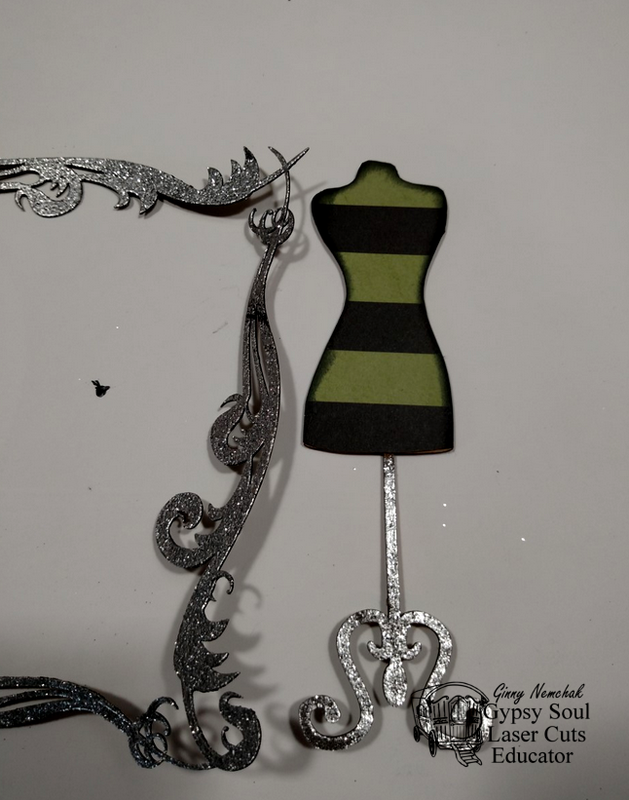 These die cut feathers really fill in the arrangement and give it height….it also looks pretty cool right? They’re layered over a spiderweb and netting. Sequins and bling add detail…and a little sparkle. So many layers here….and I love them all! As the Crow Flies Halloween Greeting Card at Polly’s on Etsy. Hey there Peeps! 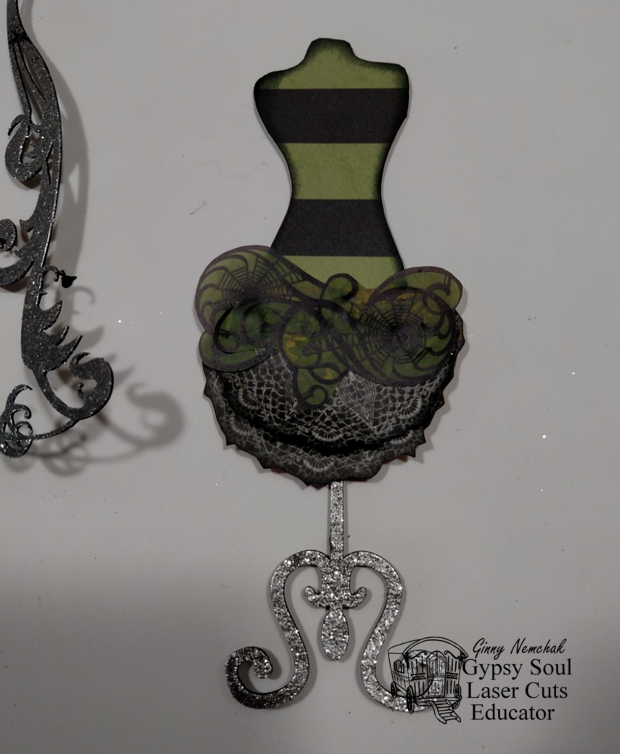 Ginny here to share a very fun Halloween decor wall hanging. 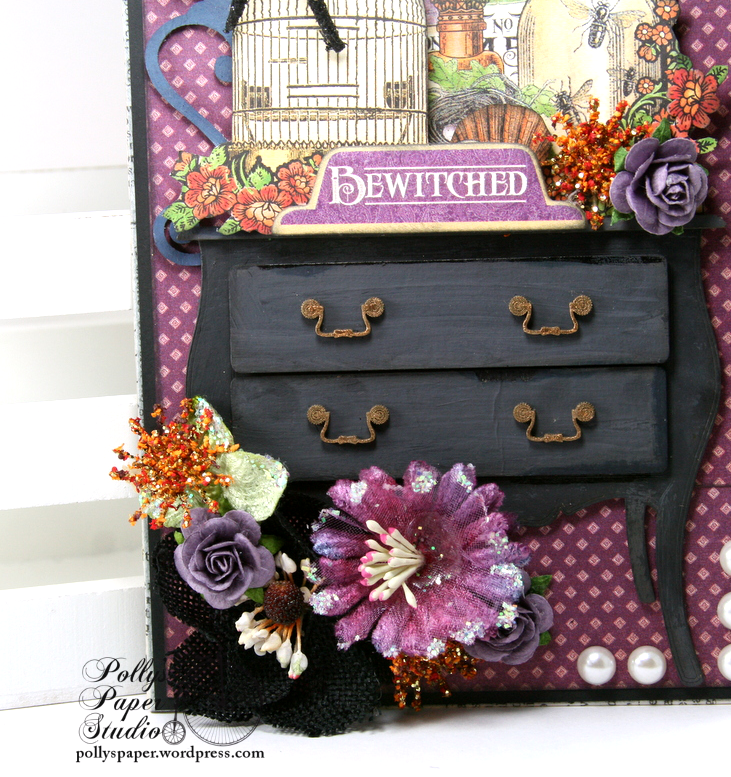 I’ve layered altered chipboard with patterned papers with a vintage feel. There’s a nice selection of coordinating flowers and glittery embellies. 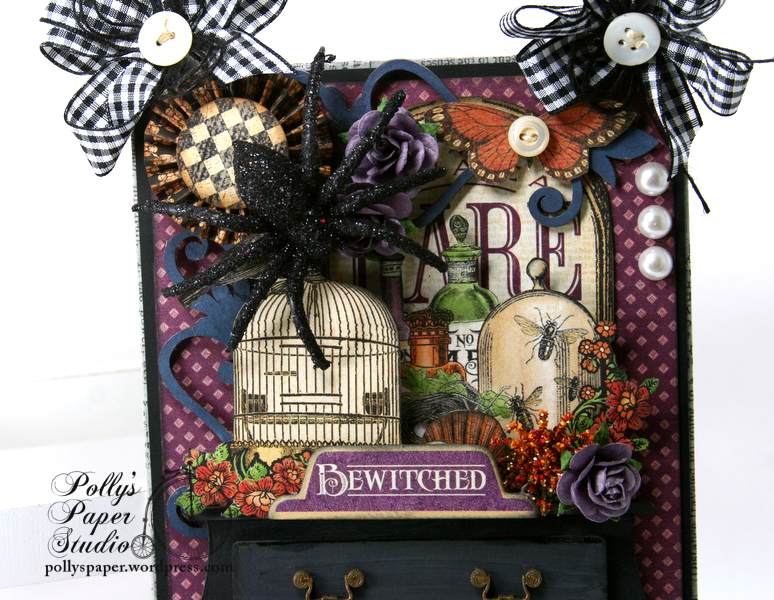 I do love adding a giant spider and vintage buttons to my Halloweeny projects. Really Reasonable Ribbon~ Black Plaid Ribbon, Black Burlap String, Purple Open Roses. Hey there Peeps and happy Monday! How was your weekend? Ours went by in a blur so I’m looking forward to settling into the shop and getting back to work. I happened to pick up some new stamps last week and I’ve been having a blast coloring with them. Pumpkin Spice from Lawn Fawn is meant to be for Fall. 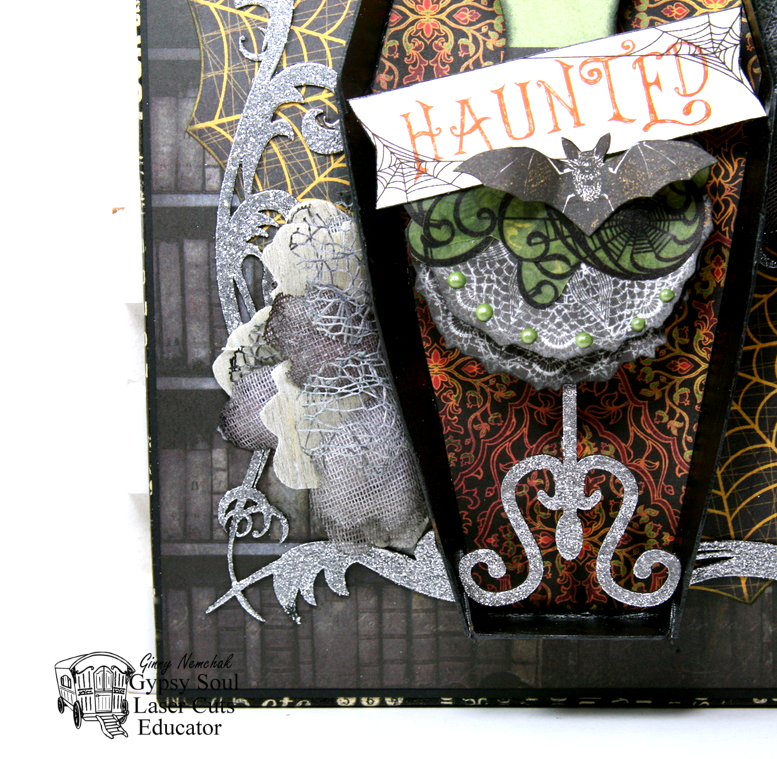 Then I thought to myself….how can I make this stamp work for Halloween too? So I decided to add some lines and color the cup image like a candy corn!!!!! I love this so much!!!!! I can tell I’m going to get a lot of use from the stamp set. I used Spectrum Noir markers to color it in. I think candy corn flavored coffee would be amazing. If anyone knows where I can get some….leave me a comment. I cut a frame to resemble the old style instant camera frames and created the shaker window. The sentiment greeting is also a Lawn Fawn Stamp. Handcrafted flowers are added to altered chipboard to create a festive arrangement. 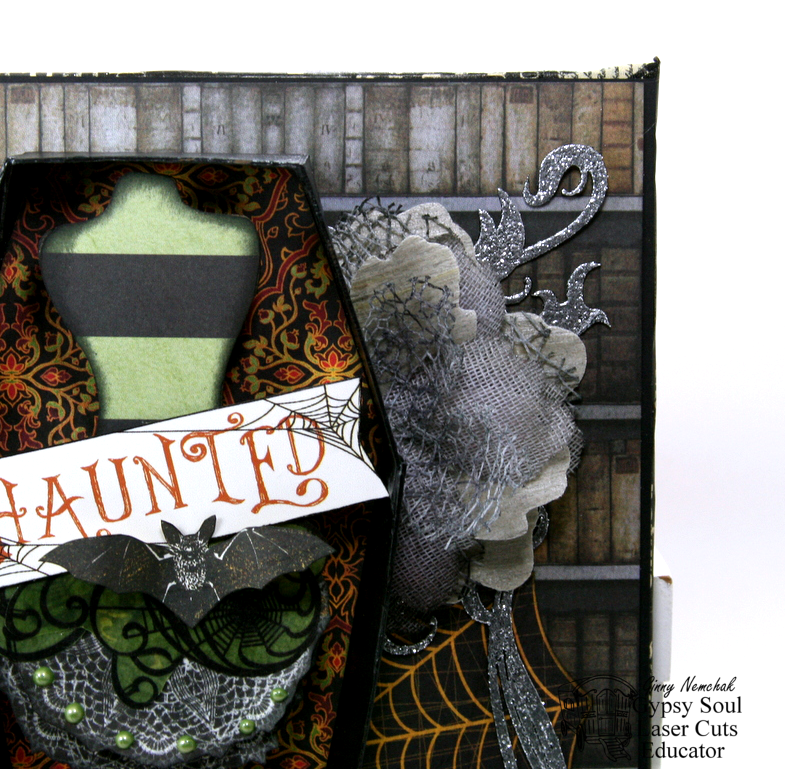 I tucked in some burlap string and spiderweb printed ribbon and die cut leaves to fill in. 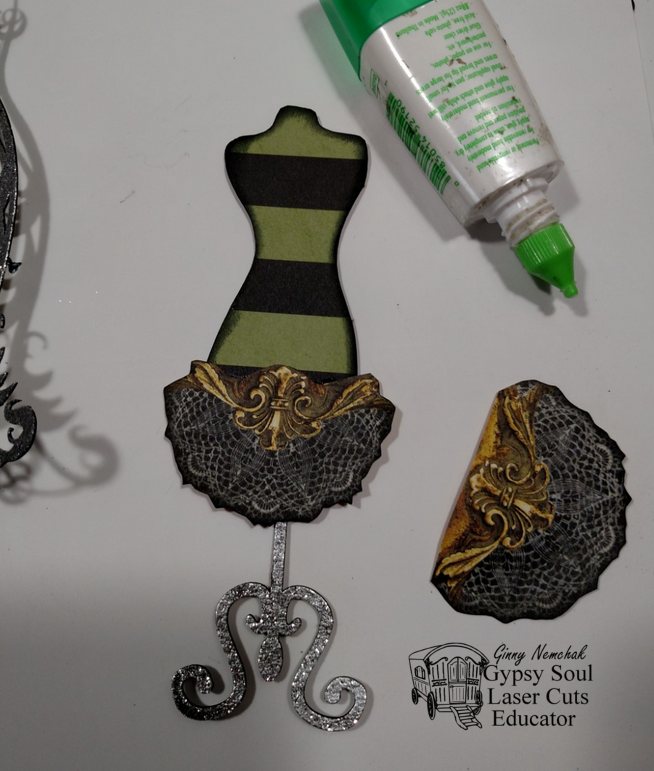 I wanted to add quite a lot of sequins and Prills inside the shaker so I used a triple layer of foam which was really noticeable so I just wrapped it in black cardstock and now it has a nice finished look even from the sides. Really Reasonable Ribbon~ Spiderweb on Black Satin, Black Burlap String, Black Double Headed Stamens, Scotch Advanced Tape Glider (ATG) General Purpose Refills. Lawn Fawn~Pumpkin Spice, Happy Happy Happy add on set.